Features 1080p60 and 720p60 video, 8MP photos up to 5 frames per second, built-in Wi-Fi and Bluetooth, and the convenience of a touch display. Waterproof to 131ft (40m). Hero+ LCD does not offer removable batteries or 4K video. It is fully compatible with the FLIP 3.1 filter & FLEX Filter systems. Outfit your GoPro with both a shallow water and deep water flip filter and even a sharp macro lens for detail shots on the reef. Features 1080p60 and 720p60 video, 8MP photos up to 5 frames per second, built-in Wi-Fi and Bluetooth, and the convenience of a touch display. Waterproof to 131 (40m). Capture incredible moments and relive them on the spot. HERO+ LCD delivers 1080p60 video and 8MP photos, and features the convenience of a touch display. Built-in Wi-Fi and Bluetooth connect to the GoPro App to allow for shot preview, total camera control and easy content sharing to Instagram, Facebook, Twitter and more from your phone or tablet. Rugged and waterproof to 131 (40m), with the ability to power up and record at the press of a button, HERO+ LCD is the convenient life capture solution for all of your adventures. The HERO+ LCD touch display lets you preview your shot to frame the scene perfectly. It also simplifies camera control by letting you easily navigate menus and adjust settings with the convenience of touch. HERO+ LCD features the same immersive 1080p60 and 720p60 video thats made GoPro famous. User-friendly modes like QuikCapture, SuperView and Auto Low Light make it easier than ever to capture professional-quality shots. Shoot 8MP photos to share with friends on Instagram, Facebook, Twitter and more. Time Lapse mode automatically captures photos at set time intervals from 0.5 to 60 seconds. Burst mode shoots 5 photos in one secondperfect for fast-action sequences. Control, view and share with built-in Wi-Fi and Bluetooth. HERO+ LCD features built-in Wi-Fi and Bluetooth, allowing you to connect to the GoPro App and Smart Remote.1 The GoPro App transforms your phone or tablet into a live video remote for your camera, offering full control of all functions and settings, easy shot preview and playback, plus sharing via text, email, Instagram and more. The Smart Remote allows you to control multiple GoPros from distances of up to 600 (180m). Trim and share video on the go. HERO+ LCD makes it easier than ever to share your favorite shots through Instagram, Facebook and more. Now you can create and save short highlight clips from your videos right on your camera and share them using the GoPro App. You can also save them to your computer and combine them to create epic edits of your best footage. HERO+ LCD is built directly into a rugged housing thats waterproof to 131ft (40m). Its designed to survive dirt, sand, water and nearly anything else you can throw at it. Surf, snow, pets or kidscapture it all without a worry. 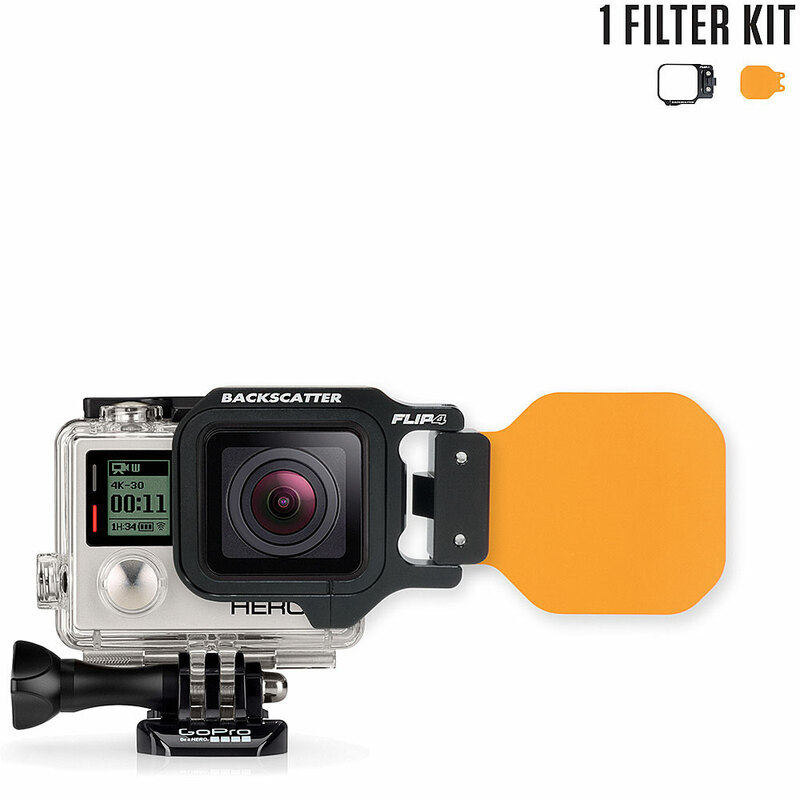 Power on your GoPro and start recording with the press of a single button. QuikCapture turns your GoPro into a one-button camera so youre always ready to capture key moments. HiLight Tag lets you mark those moments during recording and playback so you can quickly find them later for editing or sharing using the GoPro App or GoPro Studio. HERO+ LCD features SuperView, a GoPro-exclusive video mode that captures the worlds most immersive wide-angle perspective. It allows you to capture more of yourself and your surroundings in the shotresulting in captivating, ultra engaging footage of every adventure.